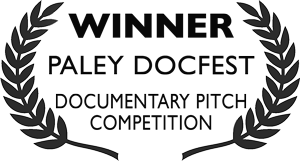 THE AGE OF LOVE follows the humorous and poignant adventures of thirty seniors in Rochester, NY who sign up for a first-of-its-kind speed dating event exclusively for 70- to 90-year-olds. From anxious anticipation through the dates that follow, it's an unexpected tale of intrepid seniors who lay their hearts on the line, and discover how dreams and desires change—or don't change—from first love to the far reaches of life. 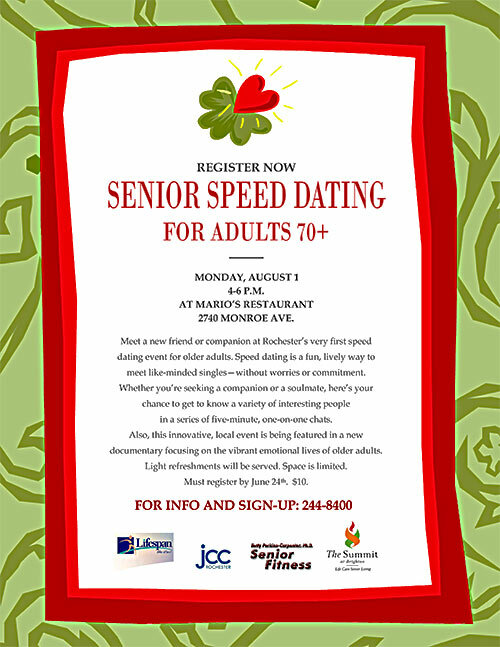 Born in the years before WWII, none of the 30 registrants for Rochester’s first senior speed dating event dreamt of being flung into the high-tech social scene of the new millennium. But now, as posters go up, local media buzzes and anticipation grows, these typically-overlooked seniors are spurred to confront the realities of physical appearance, romance and loneliness, loss and new beginnings. An 81-year-old bodybuilding champ, divorced since his fifties, imagines someone new by his side; a skydiving widow dulls her loss by pursuing younger men; a grandmother and online-dating addict searches the web for Mr. Right; a romantic 79-year-old discards his portable oxygen for a sunset tango on the beach; a 1940s movie fanatic who escaped an abusive marriage still seeks her ‘Fred and Ginger’ romance. Faced with feelings “even our own kids never ask about,” each dater’s intimate confessions blend with revealing vérité to shed light on the intense and complex feelings that still lurk behind wrinkled skin and thinning hair. Playful and revealing, wise and inspiring, our senior daters entertain and enlighten with a candor that puts media stereotypes to shame. Just as we’re all destined to age, and the aged were all once young, we suddenly come to realize just how much, and how little, our hearts change over a lifetime. The film takes viewers where no documentary has gone before—directly into the lives of older singles who still yearn to be seen and understood, who still desire another's touch, who seek a new chance at love.